A union of imagery and sound began when Ivan and Maria Pour wed in 2008. 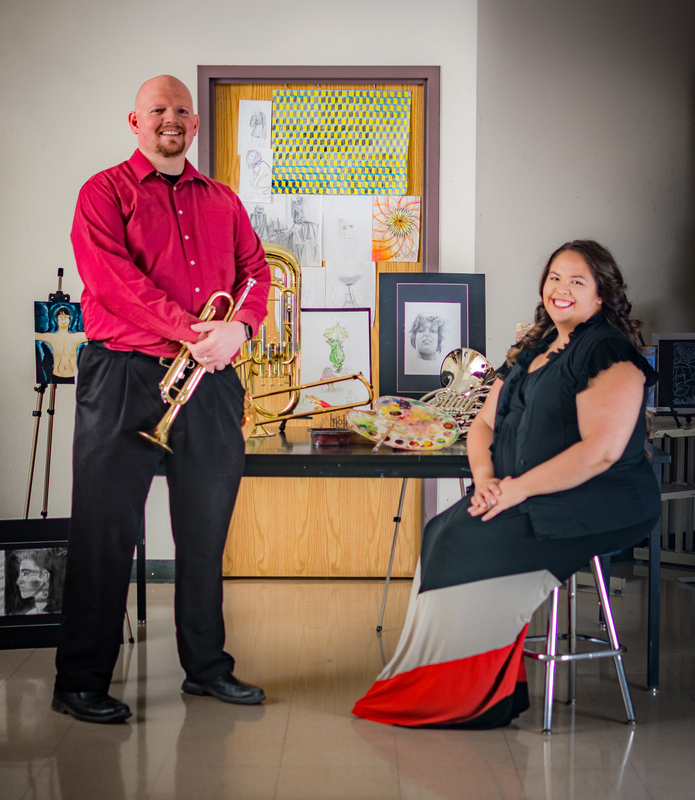 The pair’s mutual support of each other’s passions soon led to collaboration inside classrooms at Maricopa High School. Ivan Pour is the band director; Maria teaches fine art. After the artwork is complete, the musicians take a gallery walk to view the results. Afterward, they compose an original piece of music inspired by their peers’ art. “Take what you’re seeing and write what sounds like that,” Ivan tells his students. The band programs at MHS have grown in the near decade since Ivan came to the district. What once was offered as a single class has evolved into a competitive force. “This year we have three wind (instrument) classes and now a fourth class for the percussionists, and the color guard has their own,” Ivan said. 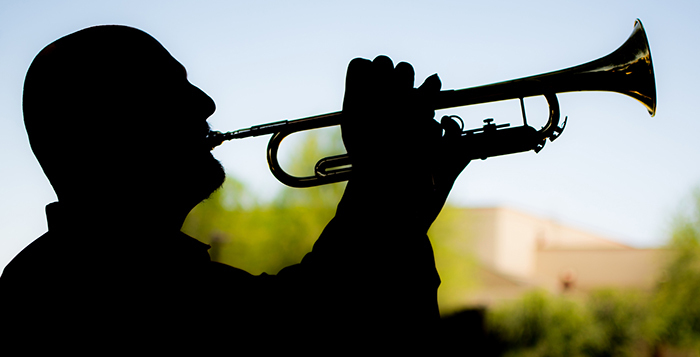 In April, the Division 1-ranked Maricopa High School Band and Orchestra advanced to the ABODA State Concert Festival for the second consecutive year, and the program continues to produce talented musicians. Recent graduate and standout tubist Chance Ackerson studied under Ivan Pour during all four years of high school. “Honestly, being in the marching band was one of the best experiences of my life. It’s basically like a family,” Ackerson said. The culture within the marching band mirrors that of the art students, and even of the high school, Maria Pour said. For the Pours, one of the most vital teachings is reinforcing their belief that art and music education lead to valuable, sustaining careers. “What a lot of employers are looking for nowadays are people who can also think creatively and critically, and think outside of the box. A lot of our economy now is not creating things, but creating experiences,” Ivan said. She hopes her digital art program grows at MHS. A future grant written by Maria could accomplish her goal of exposing students to additional digital art classes and cutting-edge software by next year. In November, Maria will graduate from Full Sail University with a bachelor’s degree in computer animation. 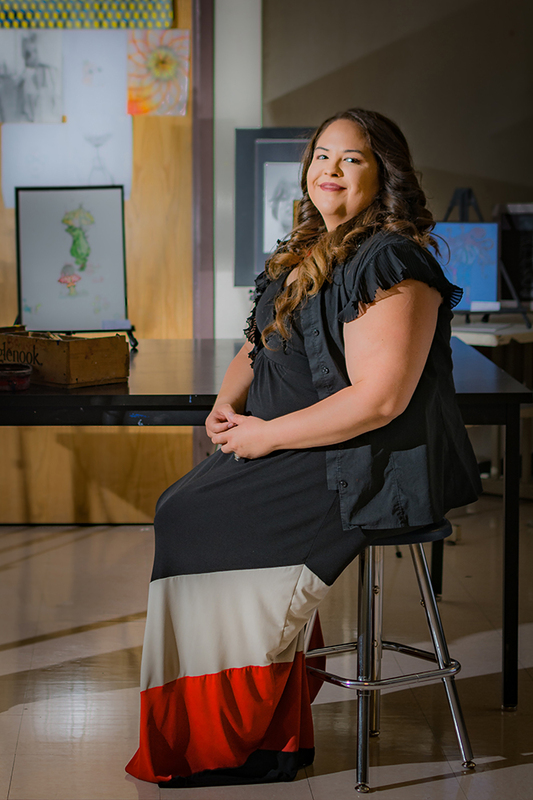 She received her first bachelor’s degree in fine arts from ASU in 2010. “I want to still stay in traditional art, that’s where my heart is, but using those traditional art skills in more of the modern setting is something that needs to be shown to them,” she said. At home, Ivan and Maria are raising more young talent, their 5-year-old son Leo. “There is always the constant battle to see whether he’s going to be an artist or a music nerd,” Maria said. “It looks like he’s leaning toward art,” Ivan added.